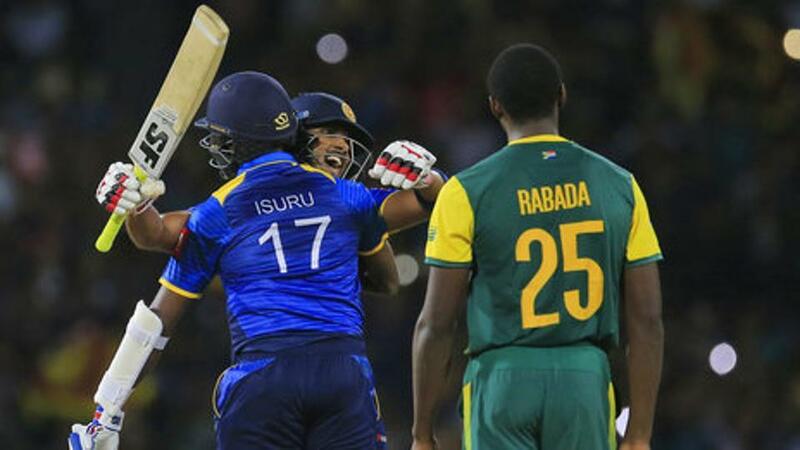 After winning the test series 2-0 in South Africa it was felt that Sri Lanka is emerging as a strong cricket team and has the potential to take on any opposition. They were superb in the test series and became the first Asian cricket team to win a test series in South Africa. After a great test cricket between the two nations, the ODI series was the most anticipating series between them. Sri Lanka after having a good start to the tour seemed a completely different side in ODIs. They were hardly able to bat 50 overs. The team who won the test series by two nil lost the ODI series by 5-0. It was a sign of worry and disappointment for Sri Lankan cricket fans. There are some teams in the history of cricket whose unpredictive nature always make their matches interesting. Obviously, I am talking about the West Indies, Pakistan, New Zealand and now Sri Lanka. These teams always possess the potential to beat the world top teams regardless of situation and condition. The only problem they have is of consistency. None of the mentioned team is able to win with consistency. You will see some brilliant cricket from the Caribbean one day while on the other you will witness a completely different side. Sri Lankan cricket team is facing the same issue in South African tour. It is hard to believe that the team who outclassed South Africa in the test was outclassed by South Africa in ODIs. Tour hasn’t ended yet. The drama was continued as the first match of the T20 series ended in a tie, both teams scored 134 in their 20 overs. South Africa due to some brilliant performances by Imran Tahir and David Miller won the match in the crazy super over. It was an impact of psychological pressure on Sri Lankan after losing ODI that they were unable to chase 134 in 20 overs. There are still 2 T20s to be played between the two but by looking at the current performance, it is the best bounce back by South African cricket team to prove that they are not chokers anymore!